Married business owners have double the challenges that a typical married couple has. There’s pressure to beat the odds of the startup business statistical success rate that we all have heard so much about. Long hours, endless days, working on the weekends, this is often what business owners need to do to succeed, at least in the beginning stages of their business. Many businesses don’t get past that beginning stage where the business can scale beyond their own involvement and so their hands-on work is needed. How does this impact a marriage? It’s like a temperature gauge. If the marriage is good the business will be good. If the marriage isn’t good, the business can’t grow to succeed past it’s limitations. Here’s why it pays for you as a business owner to get marriage counseling now for both your “babies” to flourish. 1. You’ve got so much more at stake: Let’s look 10, 15, 20 years down the line. Let’s say your business surpasses your wildest of expectations and your startup grows to the multi 7, 8, 9 figure business that you dreamed of. Do you really want to lose what you worked so hard to create in an ugly war with your spouse? Having to divide up your assets and split up your company? Seems obvious that you’d never want that yet so many successful startup business owners end up having to do just that when their marriage ends. Seems like a superficial reason to fix your marriage, but it sure does serve as a motivator! 2. Marriage happiness is a shortcut to success for business owners: You invest in your business growth and development. You read all the books, the courses, attend the seminars, you want to be the BEST at what you do. 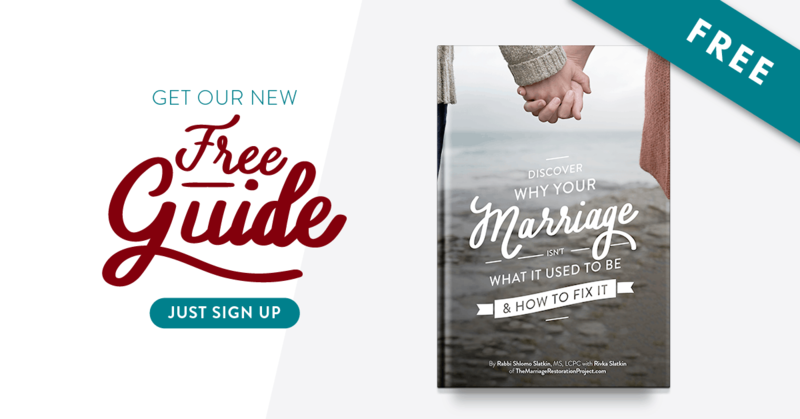 What if we told you that you could be even better if your marriage was amazing? Think about it. When you’re stressed, you can’t access your full brain- you operate on autopilot, fight or flight. A creative, successful entrepreneur needs to be able to utilize his/her entire frontal cortex for maximum success. You can’t achieve tremendous growth if stress at home is holding you back. If you can’t come home and recharge your batteries, being able to turn to the one who should serve as your BEST business partner and mentor, then you’re limited. That’s simply a fact. We don’t mean that your spouse has to know everything there is to know about your company. Just that you need to be able to focus and replenish and restore your weary bones and your marriage is right there waiting to do just that if you train it to support you in that way. 3. You picked your spouse over everyone else that you dated because you saw that you could become complete: There was something in your spouse that made you feel like you could finally become the person you wanted to become. You could see yourself together as a force, contributing and making an impact in this world! Maybe now, not so much. Same goes for your business! You wanted to create an impact in the world, you fell in love with your business idea and charged forward to make it a reality. This 3rd step is not so much a reason to fix your marriage but a reminder that you’re still in there- despite feeling burnt-out either in your marriage or in your business. That spark is still in there that you saw so long ago! Even despite years of trial and tribulations, that spark, that reason you wanted to start your business and the reason you picked your mate above all others, it’s still in there and it is waiting for you to reclaim so that you can achieve greatness. You just need an expert to take you there. My name is Rabbi Shlomo Slatkin and I am a licensed clinical professional counselor and a Certified Imago Relationship Therapist. Together with my wife Rivka, we founded http://www.TheMarriageRestorationProject.com, a global initiative to help keep couples together and happy. We help married business owners, CEOs, and executives with their Marriage & Business ROI as ultimate productivity and performance success starts at home. Join the conversation over at Couples Startup Nation, a Facebook Group for married business owners that want to improve their performance. Or download our free whitepaper, Marriage ROI: 6 Key Productivity and Performance Indicators to Double Your Company…That No One is Talking About.